The Himalayan balsam, which was introduced to the UK in 1839, is more frequently reported than some native plants, according to an annual survey of wild plants in England, Wales, Scotland and Northern Ireland. The National Plant Monitoring Scheme is the UK’s biggest wild plant survey and hundreds of volunteers study local wildflower patches across 30 different habitats from woodlands to heathlands starting in March and ending in September. 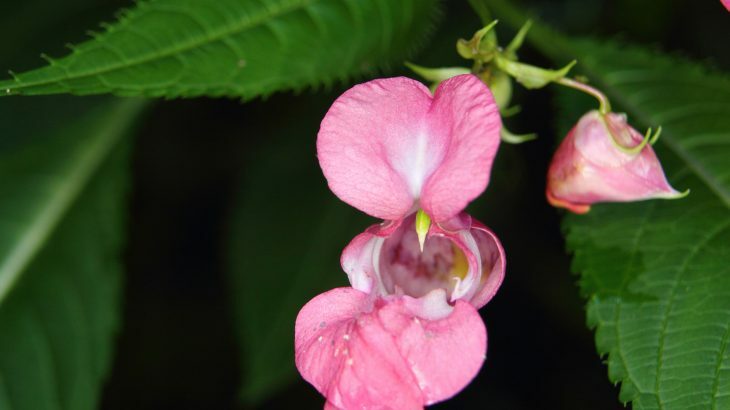 Conservation charity Plantlife is one of the many enterprises that help run the NPMS, and recently the organization raised the alarm after analyzing four years of past NPMS data about the invasive Himalayan balsam. The plant has spread rapidly and is forcing out native wild plants in the process. Part of the reason it’s thriving is because of nitrogen emissions from diesel cars. The balsam absorbs these emissions and grows extremely fast. Himalayan balsam is more abundant in surveyed woodlands that bugle, woodruff, and wild garlic and it can grow as tall as ten feet. The plant also catapults its many seeds at distances up to 22 feet away from the parent plant. If Himalayan balsams are clustered together, surveys have recorded seed densities of 5,000 to 6,000 seeds per square meter. “It’s a very high nitrogen-demanding species, and it’s a great big thuggish thing, and it can flatten vegetation around it,” said Dr. Trevor Dines of Plantlife. Nitrogen pollution isn’t just driving Himalayan balsam growth, as the NPMS data also showed that nettles, brambles, cleavers, hogweed, and cow parsley account for nearly half of all woodland plant sightings. Other favorite wildflowers are having a hard time competing and are declining.